Glue gun is basically a portable device which dispense hot melted adhesives. 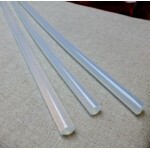 The adhesive which is also called Glue Stick is inserted on the top side of the glue gun. It then is melted by heating process in the glue gun and the glue is squeezed out of the heated nozzle. This glue is very hot and sticky after it cools downs it solidifies which may take 30-50 seconds. 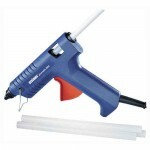 We use this glue gun for water proofing some of our cabinets. It is also used to secure wires to cabinets where tie cannot be used. 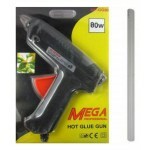 60 Watt Glue Gun Glue gun is basically a portable device which dispense hot melted adhesives. This .. 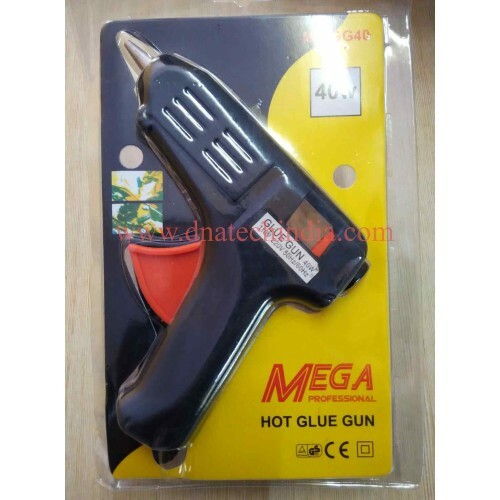 Hot Melt Glue StickThis is a Hot Melt Glue Stick also called as Glue Stick pr Hot Melt Adhesive it i..
MEGA Hot Melt 80 watt Glue Gun This is a good quality high watt (80 watt) glue gun.Specificatio..